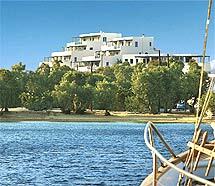 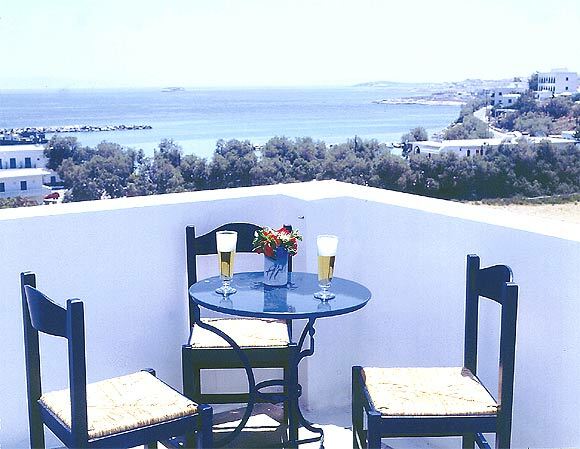 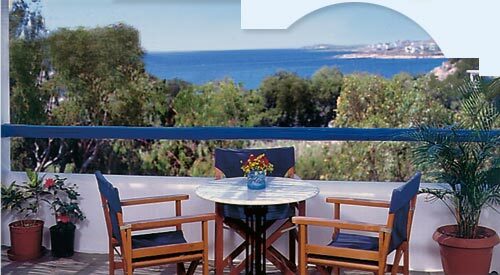 The Aloni Hotel is located in the picturesque settlement of Piso Livadi, on the eastern side of the island of Paros. 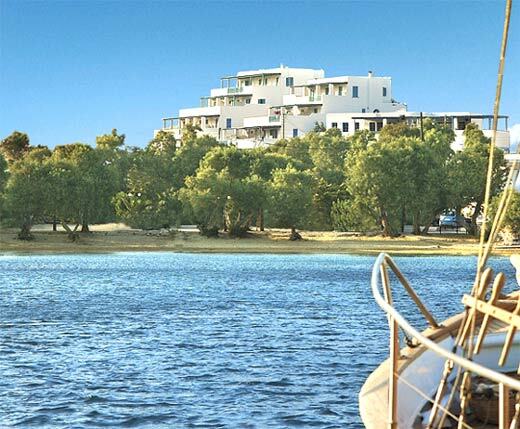 The hotel is built amphitheatrically, according to the Cycladic characteristics and architectural style and is situated close the beautiful sandy beach of Piso Livadi, offering a spectacular view of the small harbour and the Aegean Sea. 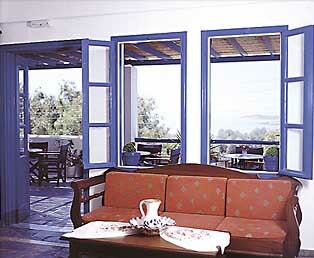 The hotel includes 37 single, double, triple rooms and a four person suite, all of which are tastefully decorated in shades of white and blue. 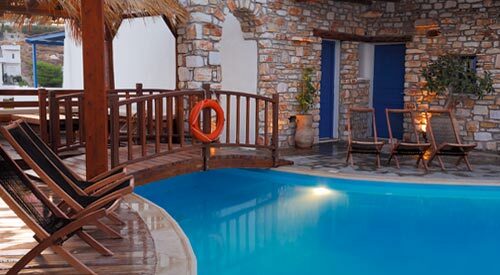 The hotel fine leisure facilities and excellent services cater to every possible need, making our guests stay a totally relaxing and pleasant experience. 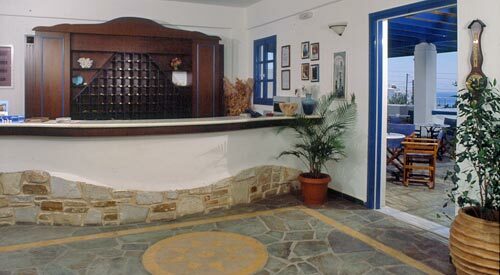 This B class (3 star) hotel operates from April 15th to October 15th. 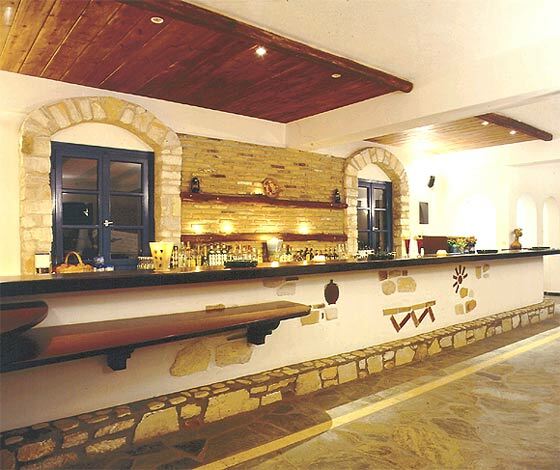 The management of the Aloni Hotel has taken great care in designing the facilities and organising the services provided, in order to ensure that its guests are offered a pleasant and carefree stay.